Although water sounds like such a simple topic, it’s actually one of the most critical and potentially complex subjects when it comes to human health. What water should a person drink? Distilled water? Spring water? Purified water? Mineral water? Should everyone be drinking the same water, or do different people have different needs? This document is an introduction to the ways of drinking water. It is a precursor to a more comprehensive document which will explore the real science behind things like structured water, colloid-based water, and modifying water for very specific in-body tasks. Balneology is the study of waters, and balneotherapy is the study of the use of waters for therapeutic purposes. There are very few balneotherapists in the United States, and yet water is the singular most important substance for human health aside from the air we breath. I became fascinated with the study of water having personally experienced the health promoting effects of certain hot springs around the western United States. While living and researching at some of these locations, I witnessed a few individuals arrive in wheel chairs, and leave walking a few short weeks later. I spent hours listening carefully to the various theories tossed around by visitors to these locations, who often traveled from distant lands to simply de-stress, cleanse, and enjoy nature. Eventually, I began reading about how waters are used around the world, both internally and externally, by talented healers and therapeutic practitioners. Eventually, I became a water enthusiast. 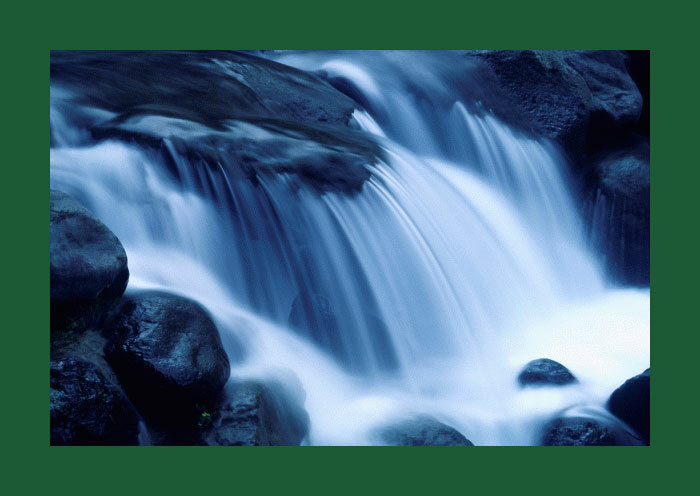 I enjoy purchasing waters from around the world to sample high quality natural spring waters. I also enjoy studying what makes each and every “famous” water special. I’ve done numerous informal experiments using kinesiology to identify what drinking waters are perfect for an individual, comparing and contrasting taste with muscle testing results. You see, while it’s commonly stated that we are carbon based life forms, I disagree. I think it is more aptly stated that we are WATER based life forms living in carbon-based shells. Esoterically, water represents emotions, and it is certainly true that emotional stability relies upon good water and electrolyte balance. Take a moment to think about individuals one has met that are extremely cranky and irritable. You’ll notice that often times, a good description of these individuals: Very dry. Dry voices, dry skin, and dry personalities. What such individuals need is fluidity. Most of the best natural waters lose their most critically valuable properties within about fifteen to thirty minutes of removal from their source. They must be enjoyed straight from the Earth. Having been removed and bottled, the dynamic energy that they possess declines greatly. Some “special waters” retain significant benefit due to the nature of the minerals in the water, such as waters with substances like magnesium bicarbonate. It is immensely pleasurable to experience water in its natural state, whether by soaking in natural hot springs or drinking fresh mountain snow water as it rages across smooth and weathered stone. Good clean ocean water is also highly therapeutic with its highly concentrated natural mineral salt content. However, starting as early as the 1950’s, a dark shadow has been cast upon the Earth. With the explosion of the first atomic bomb above the Earth’s surface, every single surface water across the globe has been measurably contaminated, including rain filtration spring water, which is rain water that travels beneath the earth to rise again through springs after a short period of time. Man’s short-sighted use of toxic chemicals has only gotten steadily worse since that time. Rarer and rare are “primary springs” which birth a beautiful primordial water previously hidden deep beneath the Earth and thus protected from mankind’s folly. While such springs are still around, few people know where to find them, or even how to look. And while the American public has been captivated by issues of money, property and prestige, the silent wealthy have begun– mostly very stealthily– buying up water rights throughout the United States and even around the world. They know something that others apparently don’t: That there will come a day in the not so distant future where clean water–useable water– will be a VERY valuable commodity. When I realized the exact nature of the problems at hand, rather than begrudge the wealthy their riches, I began studying the problem to find solutions. Although public service ads abound on television which expound the virtues of city water supplies, I have not been fooled. In order to see the so-called high quality of major city water supplies, all one has to do is distill a gallon of water, and smell what is left behind. Many city water supplies are not only dirty and chemicalized, they are toxic. Furthermore, traces of pharmaceutical drugs and street drugs may now be found in common waters, along with trace amounts of very dangerous chemicals. The government gets away with this, partly because of how daunting the task would be to correct the problem, and partly due to rigging the standards used for testing. Some of these chemicals change biological systems when present in the parts per BILLION (such as Xenoestrogens), and yet they aren’t even tested for in the low parts per million. The government has to count on the fact that the public at large will remain relatively uneducated in the water sciences, and yet we know the problem MUST be bad if they continue to spend money running cable TV ads as a part of a public relations campaign, just like BP has been doing after the oil spill in the Gulf of Mexico. In the past fifteen years, bottled water has become very trendy. Individuals believe that they are getting a high quality product because a large corporation has made a fancy bottle and sticker, with a label that says “spring water”. Nothing could be further away from the truth. There are no controls or standards on how bottled water must be processed, bottled, or purified, and some bottled waters for sale are nothing more than tap water in poor quality, leaching plastic. While there are some fantastic drinking water companies out there, people have no idea how to choose a quality drinking water, and are left at the mercy of corporate marketing with their shimmering, glossy bottles. Individuals who are more health conscious began drinking purified water long ago. What, then, should an individual do to balance cost, convenience, and more importantly, effectiveness? I’d like to take a moment to dispel some of the vast confusion about water quality and water function. Armed with accurate information, the astute reader will never have to be mystified again. There has been an ongoing debate about which type of water is better from a health standpoint: Distilled water, reverse osmosis water, or natural spring water. Infamous natural health proponents such as Dr. Paul C. Braggs, often considered to be one of the fathers of the natural health movement, have long been passionately adamant that distilled water was a near miracle worker in the human body. And yet, nearly all water quality experts of this century stand firm and equally passionate that drinking distilled water is not only ill-advised, but potentially dangerous. If you’ve ever gotten caught in the middle of two water enthusiasts arguing over their pet theories, you might mistakenly think you’ve stumbled into a war zone, and wonder if you’ll escape with your life! The truth of the matter is quite simple and grounded in good science, and more importantly, good common sense. They are all right, to a certain degree, and they are all wrong, to a certain degree. It is difficult to get water clean. It is expensive. Distilled water is often about 50-60 times cleaner than purified reverse osmosis water, and just because water comes from a spring, doesn’t mean it is healthy! “Who Knows” Mineral Spring Water: Many springs around the United States have anywhere from 500 – 2000 PPM dissolved solids, with very little colloidal material. Without a very specific analysis, a user doesn’t know if the mineral content is properly balanced for ideal… or even safe… human use. City Tap Water: Often contains thousands of PPM of dissolved solids due to chemical additives. Due to lack of filtration technology, tap water often contains trace amounts of pharmaceutical drugs, dangerous pesticides, and hormone disrupting chemicals. Governments get away with this due to lack of public knowledge that some of these chemicals can affect biology at amounts in the parts per BILLION; testing for some of these chemicals is not done at all, while other testing is done for trace amounts in the parts per million (giving a false safe report). Braggs was so passionate about drinking distilled water due to the fact that the water is very empty (clean), and can detoxify the body far more quickly than regular water. He was as passionate as he was because he saw this time and time again, over and over: Real health benefits from consuming distilled water. However, the same properties that make distilled water a useful tool also make it dangerous. There comes a point where drinking distilled water will stop detoxifying the body, and start stripping minerals. It’s the very nature of distilled water which allows it to act as a double-edged sword. Reverse Osmosis water alone is not guaranteed to be clean and health-promoting either. One needs to use at least seven stage filtration to handle the garbage that now is present in water. Ozonation needs to be used prior to subjecting water to the reverse osmosis membrane; Ultraviolet light processing needs to be used, as well. A very high quality charcoal filter needs to be in-line. All of the volatiles must be broken down by ozone before being subjected to the reverse osmosis membrane to prevent irreparable damage to the membrane. UV must be used to kill any viruses and other stealth pathogens which are too tiny to be cleared via filtration. Furthermore, most RO water is produced by small companies, which may or may not care for their equipment in the appropriate manner. It is extremely expensive to upkeep this type of equipment properly. 1. A Hanna Instruments PWT meter. This is used to check the conductivity of the water, and will accurately predict the water quality when testing distilled or purified water. Distilled water should always read between 0.3 uS and 0.9 uS on the meter; the smaller the measurement, the better. Good purified water should read in the range of about 40-55 uS. 2. A Hanna Instruments pH meter or multi ORP meter. This is used to check the pH…the acid/basic balance… of water. Quality distilled water should be very close to neutral, which is 7.0. Store purchased distilled water has been getting poorer and poorer quality-wise in the last ten years. Some distilled waters with readings of nearly 1.0 uS are showing up highly alkaline; while this is acceptable, it is not indicative of a high quality product. Under no circumstances should distilled water be acidic, and used for anything other than ironing clothing! Good purified/Reverse Osmosis water is usually slightly alkaline, between 7.0 and 8.0. 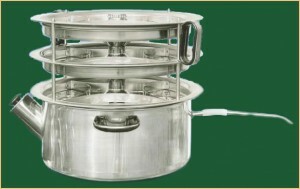 Due to its unique properties, distilled water is the water of choice for making extracts and herbal teas. Empty water extracts far more substances than any other water, and any herbal preparation will be far more potent with its use. Drinking distilled water for short periods of time can be advantageous for individuals who feel they are toxic; however, proper nutrition must be employed, and one must pay careful attention to the acid/basic balance of the soft tissues in the body (more on this in another post). A good spring water is a fantastic choice, but the concept of what makes a good spring water good is variable. Some individuals need drink a very clean water for cleansing, while others need a highly mineralized water to replenish minerals in the body. Therefore, the ideal base choice is using a properly prepared purified water which is very clean, and then adding the natural substances back into the water for perfect balance. Most major cities have water stores that offer very affordable purified water, and if you find a store with a passionate owner, the quality is often exceedingly good. With meters in-hand, one will never have to “hope” that the filtration system is being managed properly! What about Alkaline, Ionized Water? 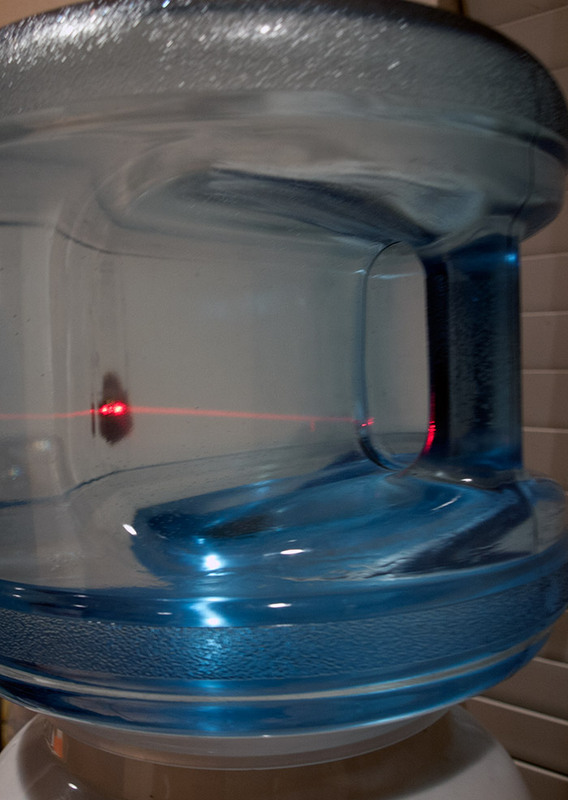 There are huge problems with off the shelf water ionizers, aside from their lofty price tags. There’s nothing wrong with ionized water, but the core issue is that most of these units sold attach to the facet. By using electrolysis and a semi-permeable membrane, the acidic elements in the water converge in one chamber, and the alkaline in the other. While it is true that most dangerous chemicals are acidic, this is not universal. An ionizer cannot purify the water, as the alkaline AND acid elements are needed to make the process of ionization work. I first built a water ionizer about five years ago, and I chose to build a batch processing ionizer so that I could control EXACTLY what was in the water. I started off with purified water, and added alkaline sea minerals in the water. In order to balance the equation, I elected to use MSM, a natural sulphur, for the acid reaction. In this manner, I knew exactly what was in the end product. An ionized water (the alkaline portion) should have a negative ORP reading of about -200 for the best results. This is also referred to as water with an antioxidant effect. The pH, on average, should be near 8.0. However, there is another CRITICAL problem with alkaline water that results from a lack of proper education. While alkaline water is generally healthy to toxic bodies, alkaline water can also shut down HCL production in the stomach in a “worse case scenario”. This has led to several deaths with some very ill individuals It’s most likely the water was overly alkaline; again, off the shelf units cannot easily control the mineral balance, and the cases that I’m familiar with used well water with some highly concentrated alkaloids. The deaths were unnecessary. Later in this post, I’ll share one of my drinking water formulas that allows one to make an antioxidant alkaline water, and I’ll also share how to safely use it! In nature, everyone knows to avoid motionless, stagnant water. It’s amazing that we, as a civilization, ignore this wise principle when using our municipal water supplies. Perhaps people think that because we use lethal chemicals to treat our water, the fact that water may be free of pathogenic organisms and parasites that this means that the water is good. Dead water is a popular catch phrase that really means that water lacks energy. Fresh rain water is loaded with energy, as is water rushing downstream, or bursting up through an artesian spring. Let me give an example of some experiments I did a number of years ago. After double distilling a batch of water, the distillation process loads the water with energy in the form of heat. Even though the water, having been distilled, is devoid of minerals, it still is extremely active for a short period of time. For about the first 30 minutes after distillation, my experiments showed that by using a Qi Gong method involving the hands, that a human being with a little bit of training could shift the pH of the distilled water (pH 7.0) to just above 8.0; one log, which is improving the alkalinity of the water by a factor of 10. This equates to a profound fact that the human energy system, by intelligent design and precise intent, can restructure the water molecules to such an extent that it can be measured using basic scientific equipment. However, once the energy in the water leaves ( in this case heat, an excitation of the molecules), the distilled water cannot be manipulated in such an easy manner. 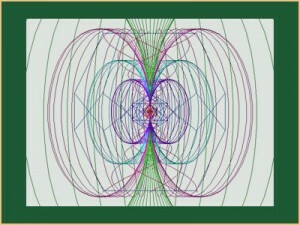 Once the energy is gone, water becomes very chaotic at the quantum level. This is one of the greatest challenges in cutting edge water research: How to keep water loaded with vibrant energy, and then how to structure the water in an intelligent and useful fashion. In the future, I’ll be posting more about how this is accomplished in nature, and how researchers are attempting to mimic nature, and even refine the process for human use. For now, I teach a very simple method which is a part of the drinking water formula I mentioned earlier. What about miracle water additives and wetter water? A fool and his money soon part ways. Beware and very weary of water additives. Soap makes water wetter, and it will certainly have biological effects if used internally. Many water additives touting to make water wetter are diluted soap chemicals. Some of them are even marginally effective at what they claim, and yet you’ll notice that the marketeers will never share exactly what they use. The reason is that they often simply purchase large quantities of industrial chemicals and repackage them. There are some such chemicals that have very good uses; after all, chemicals in and of themselves are not “anti” nature, many are simply concentrated forms of substances that exist readily in nature. However, the problem I have with companies that practice this type of marketing is that the individual does not have full disclosure in order to research the effects for themselves. The individual is left to blindly trust the marketing hype. In many cases, these products are not toxic and not harmful. But in some cases, they are very harmful. In order to make alkaline water alkaline, there are only a handful of “safe” elements to use. Each has a benefit, but most also have a bane. Water additives that employ calcium as an alkalizing agent are very dangerous for long-term use. Calcification can easily occur, and using chemicalized calcium has been shown to cause bone density problems and abnormal bone growth. Calcium is one of the most important minerals to make certain one gets through a natural source. Magnesium is another element used, but while you can make an alkaline water with various forms of magnesium as an additive, magnesium is not well adsorbed through the digestive tract. Users are fooled into believing they are alkalizing due to improved colon function, which is simply the result of more water being pulled into the colon by unadsorbed magnesium. There are also many salt based water additives and “mannas” available on the market which tout ORMUS or monoatomic elements. My problem with these formulations is that some have been shown to contain toxic elements (such as gold chloride), and I have not been able to distinguish between results achieved with these products, and results achieved through simple sea salt therapy, which is far cheaper and very profound in and by itself. As such, I have no real basis for an informed opinion, nor I have met anyone who can honestly and without prejudice state that they do, either. Without comparative analysis, there may (or may not) be more imagination in those bottles than mystical manna. The list goes on and on. In my water formula mentioned below, we do use one chemical as an optional alkalizing agent. I use this chemical because I was taught how to properly use it by an alternative cancer specialist, and it helped me personally beat cancer in 2001. Individuals who, through testing, are extremely acidic may wish to consider employing it. Individuals with great eating habits and good health can simply exclude it. The idea of using an alkalizing agent in and of itself is ONLY to help the body reach a state of balance that it can maintain on its own through good lifestyle choices. There are some exceedingly good water additive products being developed, and ones that have recently reached the marketplace. One of them is part of the water formula that we currently use, and will be explained below. Others I will mention in other posts covering more advanced topics. Oxygenated water is a water rich in some form of oxygen. Antioxidant water is water that acts as a free radical scavenger. Both types of water have profound uses, yet are diametrically opposite. Some companies, again, add oxygen to water via chemical manipulation. The best example of such a product is Homozon, which is a complex magnesium oxide. This product is marketed properly and does precisely what is designed to do, deliver oxygen (and magnesium) into the digestive tract as a digestive cleanser. I believe that homozon is MgO7, but I’m not absolutely certain, as they don’t share their formula. However, I also believe it is a misnomer calling it hom – ozone, as I believe that the oxygen detaches from the magnesium as three molecules of O2, leaving one MgO. I do not believe it releases ozone. The most interesting way to drink oxygenated water is by drinking freshly ozonated water. I actually drink my ozonated water as it is ozonating. As I am drinking the ozonated water, the ORP reading is about 800-900, which indicates an incredible amount of oxidation power. This will sterilize an empty stomach in very short order. Ozone is very unstable, and has a very short half-life in ambient air and an even shorter half-life in a toxic environment, so there is limited oxidation work that can be done. Still, the “oxygen rush” effect is noticeable. Another controversial way people drink oxygenated water is with hydrogen peroxide therapy. For some individuals, this form of therapy can be highly effective, but for some, it can be slightly dangerous. We utilize hydrogen peroxide in our water formulas, but not in a strong enough concentration to be used therapeutically (or high enough to cause discomfort/harm), and not specifically to add oxygen to the water. Antioxidant water is achieved through ionization. It’s the alkaline water produced through the ionization process that gives the water its antioxidant properties. Through poor quality ionization, the negative ORP (oxygen reduction potential) is not long-lasting. The water must be protected from sunlight, and consumed relatively shortly after the ionization process. As mentioned previously, a good general ORP measurement for an antioxidant water would be about -200, this indicates plenty of energetic activity with a safe amount of antioxidant potential. This concludes the introduction to the ways of water! In the future, for those interested, I’ll be posting more advanced information and ideas about manipulating nature’s most profound universal solvent for the benefit of one’s health and well-being! For now, here is a simple clean water formula that we often use in one of our three gallon water crocks. Dr. Gerald Pollack has done some amazing scientific research on the properties of water. Specifically, what he has coined as the fourth phase of water, also known as exclusion water (EZ Water). Delving into this fascinating topic is beyond the scope of this article, but it certainly bears mentioning. 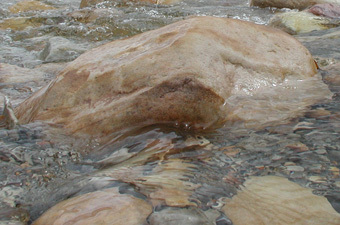 Dr. Pollack documented that when energy (specifically natural infrared energy in nature) is absorbed by water that exists with “water loving” substances (“hydrophilic”), such as minerals in sea water (or natural hydrophilic clays), the properties of the water change due to both “like” and “apposing” electrical charges. Exclusion water is formed. This is the form of water that everyone really talks about when they talk about “living water”. – Dr. Gerald Pollack’s Tedx Talks lecture explaining the science behind electrically charged, structured, exclusion water. It is well worth the time to view this seminar video! Please note: Hydrated therapeutic clay structures the water between its charge layers to a very high degree. The clay provides both a stable source of energy (from the crystalline particles) and specific information for this structure. Start with a three gallon container of properly purified or distilled water. This is a dead water, a lonely water. A water devoid of purpose, of love, of life-giving energy. A water left empty, but like any empty vessel, it is primed, full of promise, and ready to fulfill its destiny! 1. Add three drops of 35% H2O2 (or the equivalent, if not using 35%) into the three gallons of water. 2. Add one ounce of ~10PPM Electrically Isolated Silver (colloidal silver) to the water. This is the engine of the water. In this case, we’re not using silver as an antimicrobial, and we’re not using H2O2 as a therapy. You will taste neither in the water, and neither will have a profound direct chemical effect biologically; the concentrations are too low. Silver and hydrogen peroxide are explosive when used together. And what happens when two compounds explode? Right! They release energy! When a molecule of H2O2 encounters a particle of silver, the h2O2 explodes, releasing energy and liberating a single molecule of oxygen, in the form of O-, leaving one energized water molecule ( H2O) behind. This process is continuous, and can last for about a week, although the reaction becomes less and less as time passes and the h2O2 is reduced. 3 drops of H2O2 with an ounce of silver is just enough to keep that “engine” burning for the time it will take to drink the three gallons of water. BE CAREFUL if handling 35% hydrogen peroxide! 3. Add one to three ounces of magnesium bicarbonate. Bicarbonates are amazing, and magnesium especially so. Later, I’ll dedicate a post to making and using magnesium bicarbonate. Magnesium can also act as an oxygen and oxygen signal carrier. When you drink the end product, magnesium plays a big part in the fresh feeling one experiences when drinking the water, especially when it is combined with oxygen-related energy and substances. 4. Add one to three drops of potassium hydroxide, 50% USP grade, liquid. Potassium is the single perfect ion for alkalizing the body. In order for the potassium ion to be a problem, one needs to be in near renal failure. If one IS in near renal failure, do not use any form of potassium in the body. Potassium hydroxide scares a lot of people. But look at it from a chemistry standpoint: It is K(OH). All that we’re doing with the potassium hydroxide is manipulating hydrogen with the potassium ion. While it is true that if used full strength, it is LYE, when used in minute amounts, it is a very valuable tool. A lot of retail water alkalizing water additive products sold for outrageous prices use K(OH) as the primary alkalizing agent– at least the good ones. CAUTION: Please handle the concentrated potassium hydroxide with care, undiluted it is VERY caustic. With the batch I just made, my starting water read 69.8 uS… and the pH was in the mid 8’s… about 8.54. The silver will drop the pH slightly, as will the magnesium bicarb that I made. The Potassium Hydroxide, added at 3 drops, shifted the pH to a comfortable 8.7. One can use a bit more or a bit less K(OH), as long as one is using a meter to verify the pH. If no meter is available, use one or two drops only to be safe. If one is interested, one can use peroxide testing strips to verify that there is no real measurable hydrogen peroxide left in the water after letting the water sit for a few hours. But the silver and the magnesium will still be VERY active in the water, and the water will still be very much “alive”. 5. Add three caps full of Tecopia Essentia Enhanced Spring Water (optionally use any truly structured water). This will completely structure and stabilize the water. The end result at this point will be a wonderful and fresh tasting water as alive as a rushing river… You can taste it and you can feel it. At this point, an individual needs to address the issue of minerals. Different individuals will have different trace mineral needs. B. Add one pinch of our three clay blend to a glass of water. Stir thoroughly. Let sit for five minutes, and then carefully decant about 1 tablespoonful of the finest clay water, and add it to the water. There are many other things you can do to improve this base water, which I will address in other posts! The target for the pH for an alkaline, oxygen-based water would be between 7.5 (for those who have excellent soft tissue pH) and 9 to 9.5 for those with extremely acidic systems. Add one quarter freshly squeezed lemon to a glass of this water, at least every other time this water is consumed if extremely weak digestion is an issue. Although the lemon juice itself is acidic, upon digestion it becomes an alkalizing agent in the body. As a digestive aid, it will “acidify” the water consumed without taking away its alkalizing properties. One cannot use the H2O2/silver engine and antioxidant water at the same time. They would cancel each other out. One must choose between a highly oxygenated water, a highly antioxidant water, or a neutral one. Rather than building a water ionizer oneself, or purchase a water ionizer that costs thousands of dollars, there is now a simple and very effective solution. Real Water. We’re lucky enough to live in the city where Real Water was created, and we actually have three gallon containers of Real Water home delivered; we also use Real Water concentrate as needed. Those who live in the Southern Nevada area can contact Silver Springs for more information. Adding Real Water Concentrate to the basic water formula above (minus the h2o2 and silver) will transform the water into an antioxidant water, just like a water ionizer would do. The amount to use would be about one to two droppers full per gallon of water, which will stabilize the water with a negative ORP for nearly two weeks. We recommend using a meter, and adding just enough to achieve about a -200 ORP. Drink this water in place of freshly ozonated or oxygenated water. We actually have two, three gallon crocks, one we use for oxygen-based water, and the other for antioxidant-based water. That’s it for this little water post! Stay tuned for a simple magnesium bicarbonate tutorial, and for future posts delving into more complex and refined water experiments and ideas! Explore the soft tissue pH connection in the Symphony of Biochemistry. Alkalizing the Body and Balancing the Body’s Minerals – A complete and simple program to balance the body’s pH and deliver trace minerals at a cellular level. This article is part of Phase 1 of the Eytons’ Earth Digestive System Recovery and Detox Program. Learn how to make the perfect water to use with therapeutic clay, for internal or external use: How to make the perfect hydrated clay gel with structured, remineralized water. Learn about all of the different healthy ways to prepare drinking water. This is a basic, beginner's guide to drinking water quality. I bought many of the ingredients listed above to try and make the water described. It is way too complex and delicate to get all elements right. I don’t think I got the right pH meter, I didn’t even know how to use it. It makes me wonder if, at the end of the day, How could it be possible that nature’s water is so bad? Some of the problems we’re working on may not be “common” knowlege for twenty to fifty years. However, it makes perfect sense if you look at the available data. First, most people don’t have access to natural water. Where the largest populations of humanity live, the only available option is treated tap water. Second, without an extraordinary amount of knowledge about the ground water system in “your” area, there is no way to tell if a spring has been contaminated by industrial waste, radiation or other chemicals. Third, most ground water springs are what are known as filtration springs. This means that the ground water is actually surface water that seeps into the ground. Some filtration waters have cycles of a few hundred years, others, a few decades, others have very short cycles (the amount of time it takes for water to seep into the earth and then rise to the surface, be it via natural means or drilled wells). If nothing else, most U.S. filtration springs are contaminated with trace amounts of radiation from atomospheric testing of nuclear weapons in the 1950’s. Since the air is becoming more toxic, the ground is becoming more toxic. Since the ground is becoming more toxic, the fresh water supply is becoming more contaminated. Very, very few people have access to what are known as primary springs: Water that has been stored in the beneath the surface of the Earth for thousands of years. I’m sorry about the complexity of the article; I wrote it hoping at the very least to expand the awareness of how different waters can be, and to dispel some of the garbage written about water out on the net. At the very least, one should consider drinking extremely clean water. The Real Water Concentrate link does not work. In searching, I cannot find this product anywhere. Perhaps they don’t make it anymore? …It looks like Real Water has redone their site, and hasn’t added this product back in; I’m not sure why. The above link is to a 3rd party reseller. Hi the Real Water website appears to be back on track now. However I find certain elements confusing. They first purify Tap water with a 7 stage process. And then they zap it. However as far as I understand zapping water doesn’t work unless it has some kind of salt in it to carry the charge. And here is a quote from their faq page which may give us a clue. “Real Water is purified water that has a special treatment at the end of the purification process called E² Technology. E² stands for Electron Energized and that is what the E² Technology does, it adds electrons to the water through electrical restructuring. In addition to being alkalized with minerals, the E² Technology increases the absorption of the water for maximum hydration. The negative ionization can be measured in millivolts (mV) by an Oxidation Reduction Potential (ORP) meter.” If they own up to the fact that they reintroduce minerals after the purification process what is to say that the negative ORP remains in the bottle for up to 6 months due to the minerals added rather than the zapping? Thanks for “stopping by” and commenting! 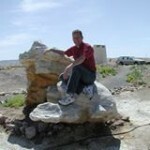 I built my first water ionizer about ten years ago for experimentation purposes. It was a two cell water ionizer. I used distilled water and added the exact minerals I wanted to make ionized water with. It worked well, but in order to get a nice high negative orp reading, I had to use quite alot of minerals. The end result was ionized mineral water. After exploring the ideas behind “Real Water”, I suspected that they were using a single cell water ionizer. I built one, and discovered that you don’t need two cells with a membrame inbetween to ionize water. I was still not able to stabilize the ions in-solution. What makes real water interesting is the stabilization of electrons in-solution… in a purified water base reading less than 50 parts per million dissolved solids. I have personally tested the stabilization. You can too, if you wish. The reason I link to the other website rather than Real Water’s corporate site is that they do not sell the concentrate. You can purchase the concentrate, add it to distilled water (or purified water), and test it for yourself. I’m not… yet… sure how they achieve their end product. Penta Water, for example, is created via pressurization. Their end product is a stabilized antioxidant water with a pH of about 8.0 and less than 60 PPM dissolved solids, with no particulate/colloidal matter at all. I forgot to mention this site is fascinating and thank you for sharing all this knowledge. No doubt it has been a life task and it is rare to find material that is so thorough. Re alkalising water pros and cons. There appear to be more points against the use of this water that you have not covered. A simple google search will reveal a number of articles against the use of alkalising water. Also check out dancingwithwater website the web owner and author is very thorough on all matters relating to healthy drinking water. Please keep in mind that this article is only a basic introductory article. Regarding the alternative view that alkaline water is bad, that statement alone shows a measure of ignorance. You can find a counter-claim…and one that often intellectually makes sense… to every single thing out there. I greatly enjoy the dancingwater website, although my exploration of certain topics involving water goes far deeper then theirs. For example, their plastic “pitcher” water vortexer is a fun toy, but it misleads people into thinking that highly stable structured water is the end result. If you study Dr. Pollock’s work, you’ll really see what it takes to structure water; more important yet, to hold a MEANINGFUL and stable structure. That said, I still enjoy their passion and creativity, and I like their water craddles. I personally am not a fan of orgonite, having studied subtle energies for decades, the energy is simply too chaotic. The “prettiness” and ease of marketability sometimes bedazzles people. As far as the alkalizing issue goes, this should be discussed in further detail, so one gains clarity. This is dealt with in great detail in other articles on my blog, but there is nothing wrong with talking about it direct relationship to water. In essence, the right minerals are added to water to shift the pH of the water in order to restore balance to the body. This can be charted and measured, if desired. Doing alkaline therapy should be considered at a proton scavenger therapy with the goal of restoring the hydrogen balance in the body TISSUES (not blood or organs). Once the hydrogen balance has been restored, and the body’s electrolytes balanced with the body rehydrated, then interested individuals can explore hydrogen donor therapies. There is always a “push and a pull”, a “light and a dark”, a “yin and a yang”. You have to study the whole picture, and then determine the right starting place.